Supplemental oxygen -- a life-saving therapy for many diseases and conditions -- poses serious safety risks when used while smoking. Normal air contains 21 percent oxygen, while supplemental oxygen can contain up to 100 percent oxygen. Although oxygen itself is not flammable, it creates an environment in which fires can easily ignite and burn quickly. You should never smoke inside a home where supplemental oxygen is in use. Smoking while on oxygen increases the risk of fire. Once ignited, fires burn hotter and more rapidly in oxygen-rich surroundings. This leads to larger fires that are harder to extinguish and more difficult to escape. Sparks created from striking a match or lighter are enough to ignite a fire while oxygen is in use. Fires endanger the lives of people who are on oxygen, others in the home or surrounding area and emergency personnel who respond to the fire. After oxygen is turned off, increased oxygen levels still linger on the hair, skin and clothing of anyone receiving oxygen therapy. This creates the danger of serious burns on the head and face if smoking materials are brought toward the mouth and burns on the remainder of the body if clothing ignites. People who require supplemental oxygen generally suffer from serious heart or respiratory diseases. Continuing to smoke is likely to worsen the medical condition that necessitates oxygen. 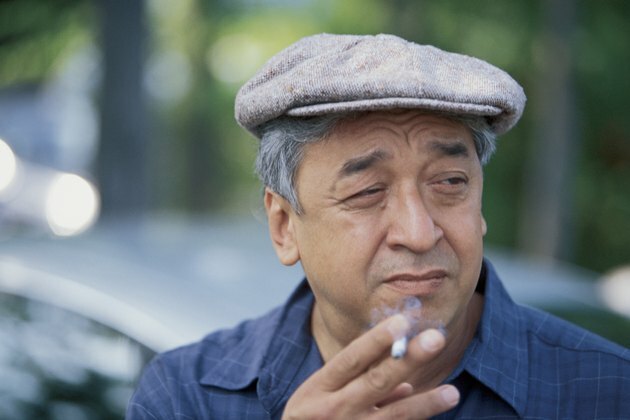 Talk with your doctor about resources and treatments to help you quit smoking.